5 Reasons Not to Miss ……. It has been re-imagined by Tessa Howell, who has recreated, produced and directed this (her last) Horley Footlights production. Tessa has excelled herself by making Mr Shakespeare accessible and yet keeping the magical qualities of the story. The cast from the village (except for one young male lover) consists of some seasoned old hands, some new faces and fresh young ones taking centre stage. 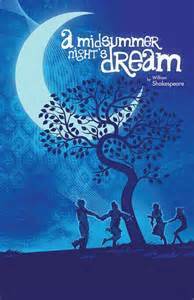 Come and see how Horley Footlights resolve the vagaries of both human and fairy behaviour in this best-loved Shakespeare play. Don’t delay as tickets are selling fast! To book yours call Jenny Reynolds on 01295 738125 or email her at daveandjennyreynolds@btopenworld.com. This entry was posted in Activities and tagged Horley, Horley Footlights, Midsummers Night's Dream, Music, St. Etheldreda’s Church on August 23, 2015 by thehorleyviews.